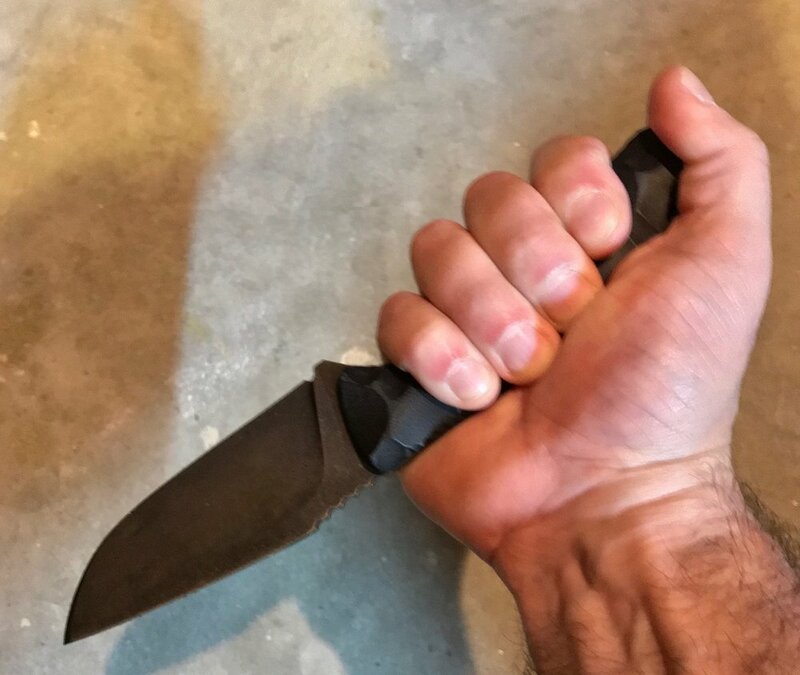 After having used the custom made Trinity Bladeworks knife, well, I can only say this: once you handle a quality blade, you won't settle for anything else. And Eric, the knifemaker, deliver quality. 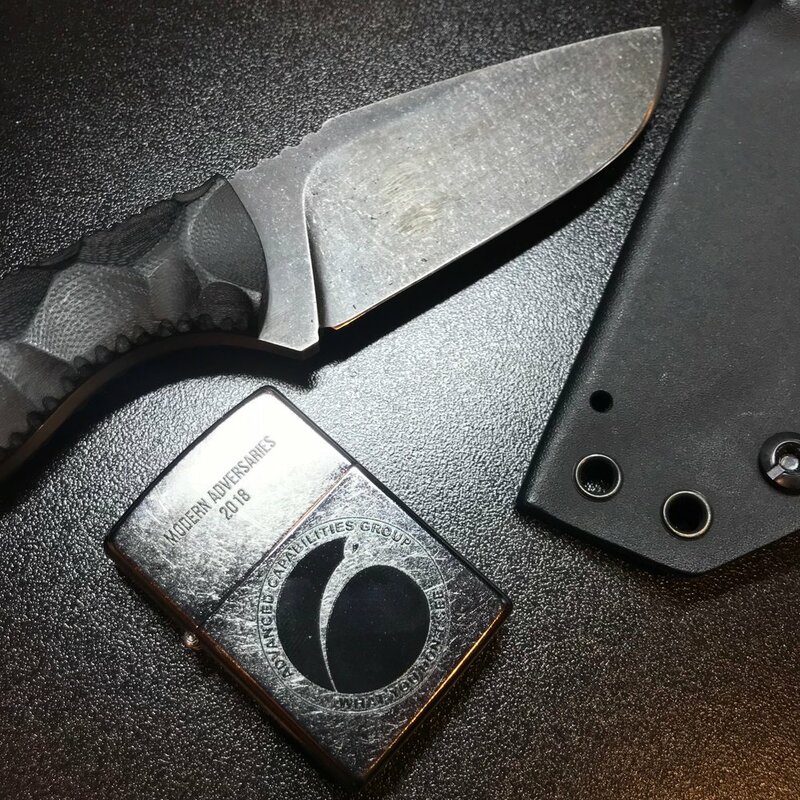 I introduced his custom blade back in December 2017, but now that I've had the chance to use it more, I think I can write a review. 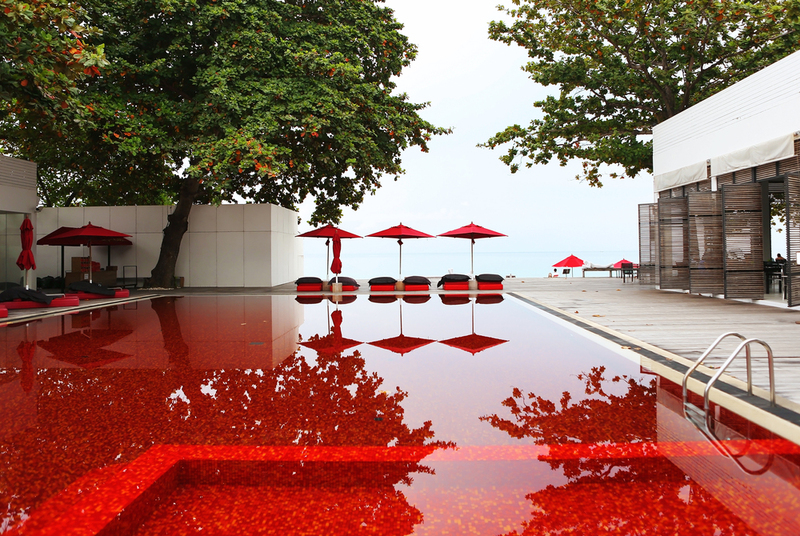 We started by exchanging designs ideas, and after a coiple of days, Eric nailed perfectly. You can see above the last 3 finalists. We went with the one in the middle. 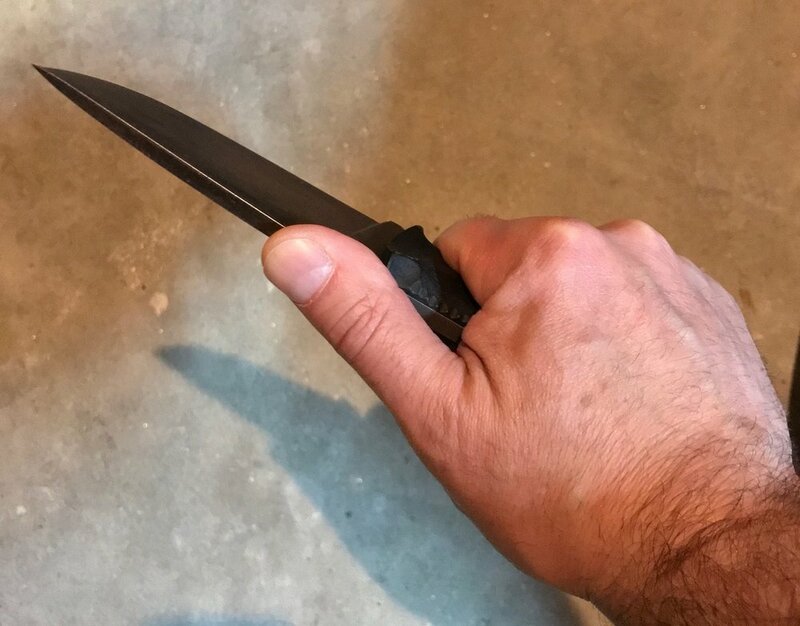 This is a knife designed mostly for self defense, with some utility in mind. It's not a knife you will use for chopping wood, however, I have used it for that and it was ok. 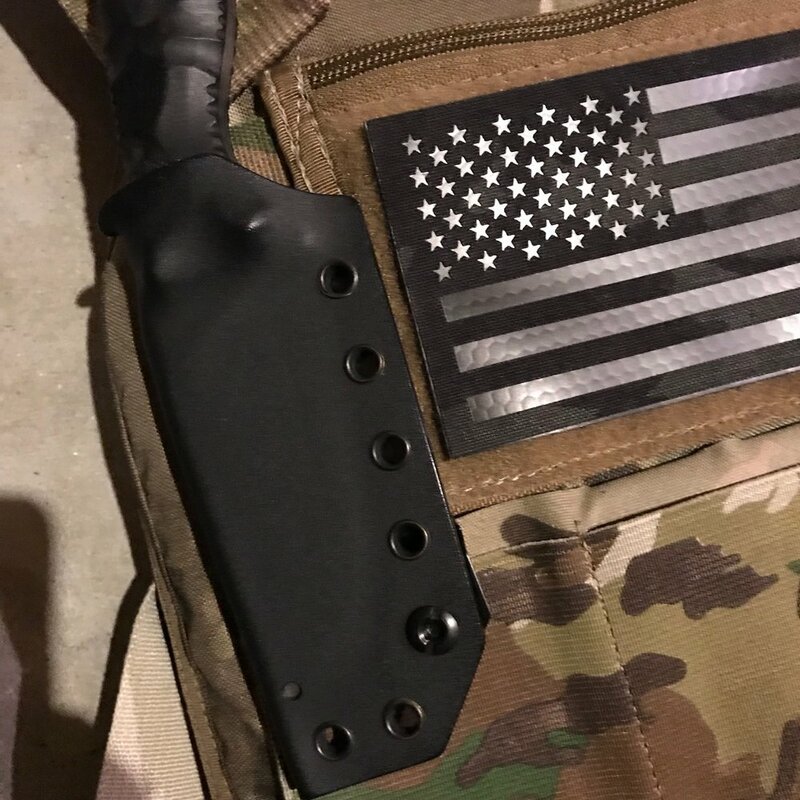 This is a knife that would allow you to get very close and touch soneone if needed, or if you are out of options, and you need to fight for your life, well, this knife will be it. While the knife is not big, it's no small either. Its weight is perfect, not too heavy, but heavy enough that can give you that punch you need. The G10 scales will let you grab it even with wet hands, and once it's in your hand, it'll stays there. I have taken the knfe with me to the field, the range, urban projects and everything in betweem. It dissapears in the vest and ruck, and it's easy to hide inside things. 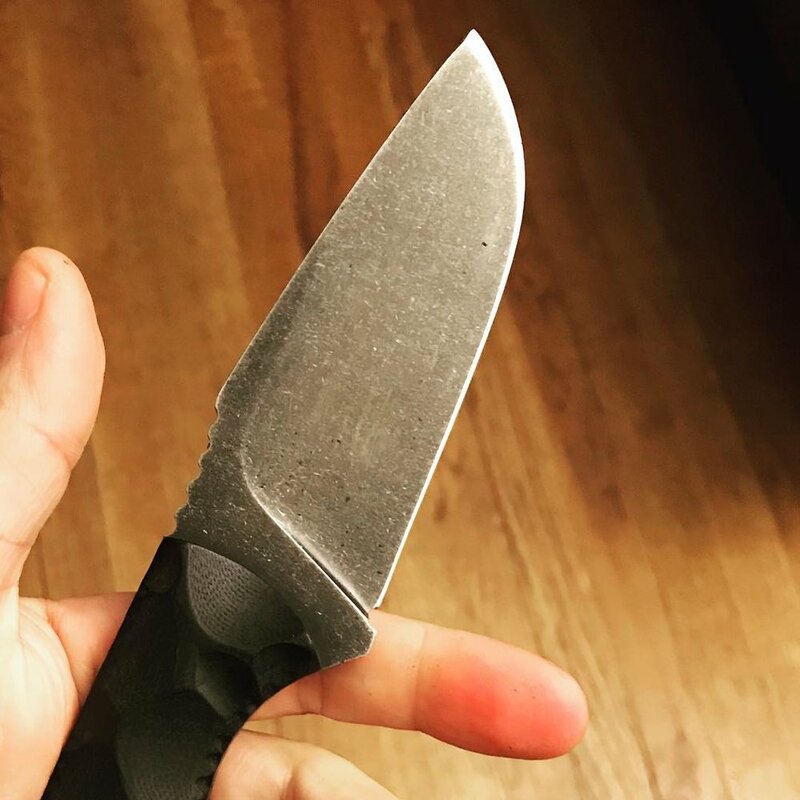 Like I mentioned, it was not designed as a tool knife, however, I've used it for that while camping on a climbing trip a few weeks back. Chopping wood, cutting rope and shaving wood for fire. It retained the edge and it's easy to sharpen in the field. Again, once you try a good quality blade, you don't want to go back. I couldn't be happier with this blade. The knifemaker and I are designing a new one now. I can't wait to see how that one will perform. 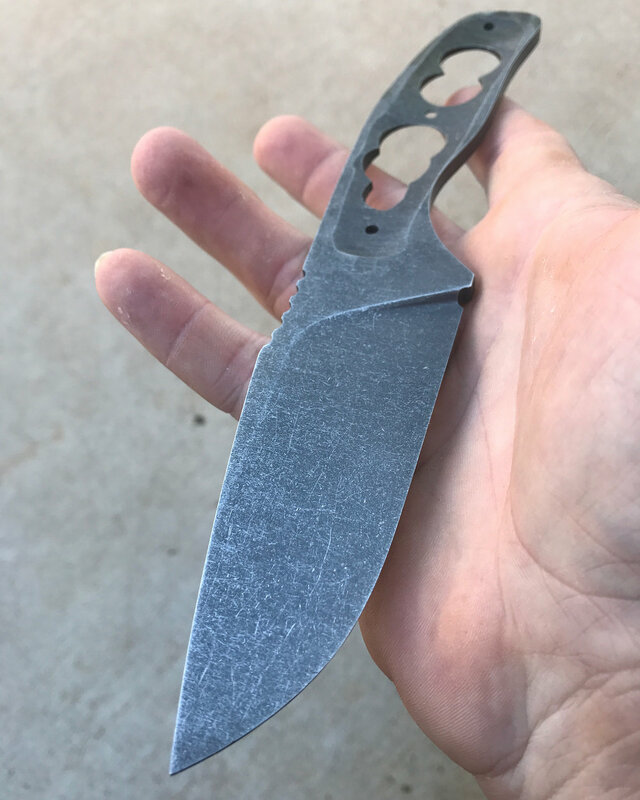 If you want a custom blade, made in the USA: Trinity Bladeworks is for you.